The Evolis Zenius Simplex (Single Sided) Full-Color ID Card Printer makes it easy for you to print full-color Credit Card sized (CR80) PVC cards every step of the way! Discover a wealth of advanced features loaded in the Zenius' contemporary yet compact design. A 50 card input hopper (card feeder) and a 20 card output tray are located conveniently at the front of the printer - no need to reach around behind the printer to change cards or fill an emtpy feeder. The Zenius has a manual feed option which will allow the user to insert a single card for printing - great for badging on pre-printed stock or at trade shows. All of the controls on the Zenius are on the face of the printer and are easy to read and understand. 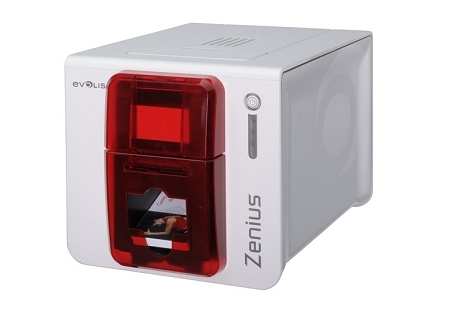 The Evolis Zenius is equipped with state-of-the-art ID card printing technologies. The Zenius "Classic" is designed to work right out of the box, configured as-ordered, and is available with multiple options. See the list of available Evolis Zenius configurations below. The Zenius Expert version offers flexibility and scalability as your needs change as the Zenius Expert line of ID printers can be field-upgraded onsite with multiple encoders for magnetic stripe or smart card encoding. The flexible features of the “future proof” Zenius Expert ensures that you will always be in line with your current and future requirements in plastic card printing. 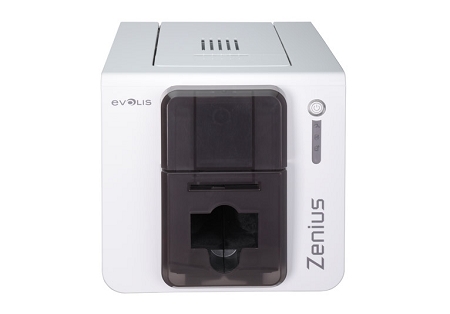 With the Evolis Zenius you have access to all ports directly on the rear of the printer. The Zenius Classic USB version has a USB and power connection. 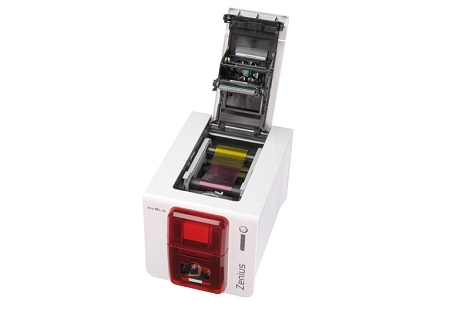 The Evolis Zenius Expert has the capability to combine magnetic and smart card encoders within the same printer either configured from the factory or ordered as an add-on module at a later date. 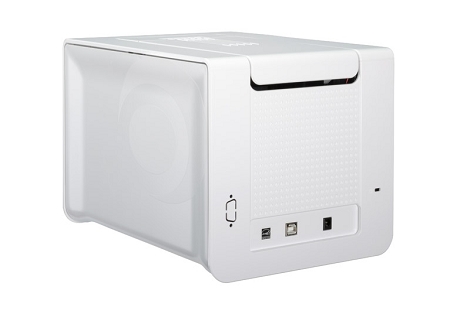 With a low sound level (46 decibels) and amazingly small size (7.67”h x 8.07”w x 12.20”d) and weight (7.3 Pounds) , The Evolis Zenius ID Card Printer can accommodate virtually any users environment, be it a welcome desk, a sales counter, or an office reception area. With its remarkably low weight of 7.3 Pounds, the Evolis Zenius is the lightest printer in its category. The Evolis Zenius has earned the coveted ENERGY STAR certification and complies with the reduced energy consumption guidelines from the ErP European Directive and offers both stand-by and sleep modes for rapid resume printing or longer term delay. Thanks to a chip, Zenius instantly identifies the ribbon type and configures all settings accordingly. Supplied with the eMedia CS Card Designer (30-day free trial to be downloaded from Mediasoft’s website). ASG recommends Card Five or BioCert ID2Go Software for use with this product. Encoding options, than can be combined. Upgrade can be carried out onsite, by adding new modules (for the ‘Expert’ version or above): Magnetic stripe encoder, smart card contact station, smart card encoder and contactless smart card encoder. Other encoders available upon request. * For these encoding options, it is necessary to order the encoder's mounting plate kit to finalize the installation of the options, only one plate per printer. Adult Signature Required for Delivery. 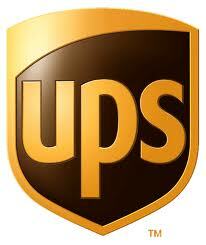 MUST ship to the billing address of the credit card on-file or a verified COMPANY address. International Orders for this product will require payment by wire transfer ONLY.. Please select Wire Transfer as your method of payment and download our Wire Transfer Information here. Remember to fill in your order number beginning with EVIDXXXXX. 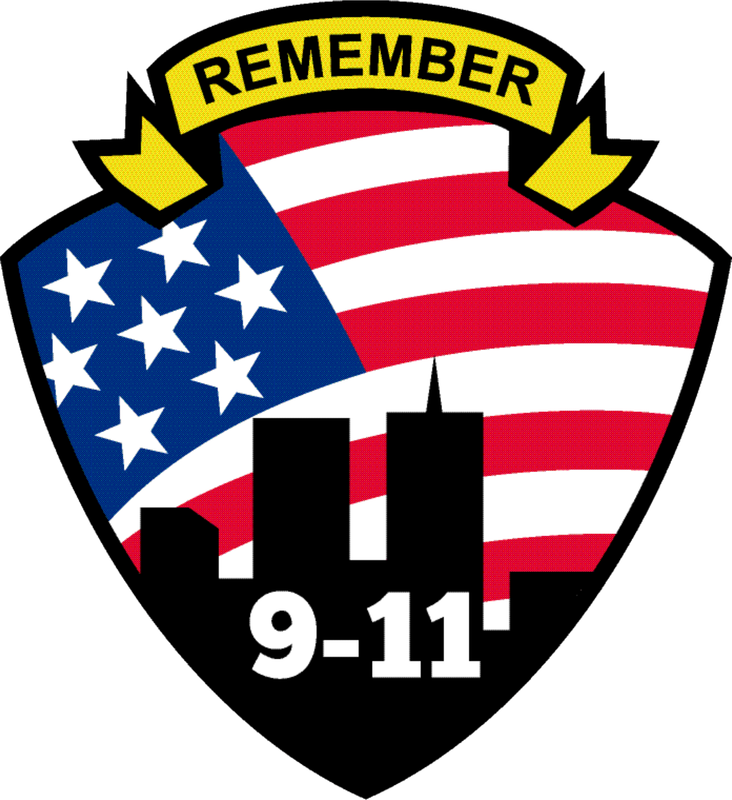 Please fax a copy of your order and the wire transfer form to our office at +1 360-331-4828. Attempts to purchase this product using fraudulent credit cards or for shipment to a "mailbox store", residential apartment suite or freight forwarder without prior acknowledgement will be classified as an attempt to purchase ID Making supplies by an unauthorized party and will be reported to the appropriate authorities. ASG Global fully supports Project Genesius both in the USA and UK and all information from unauthorized attempts to purchase ID making supplies will be shared with the appropriate authorities.